Walton Colliery Nature Park01924 860280work Country ParkWhether it’s a thrilling bike ride, adventurous horse ride or a relaxing stroll you’re after you’ll find Walton Colliery Nature Park the perfect place to be. 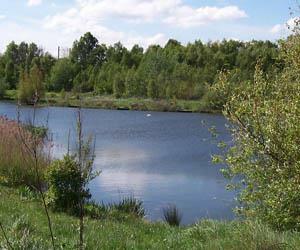 Follow the Trans Pennine Trail north from Haw Park Wood and you’ll come across this former colliery site with its ponds, grassland, wildlife and a good path network. Look out for the information boards throughout the park to learn more about the area and wildlife that call the park their home. The Trans Pennine Trail and the National Cycle Route 67 cross through the park. Whether it’s a thrilling bike ride, adventurous horse ride or a relaxing stroll you’re after you’ll find Walton Colliery Nature Park the perfect place to be. Car parking is available at the Shay Lane entrance with limited parking at the Oakenshaw Viaduct entrance. There is no public parking at the Woodyard Cottages/Chevet Terrace entrance. Leave Wakefield on Doncaster Road (A6638). Follow signs to Walton Centre. Pass through the village. Turn left from Shay Lane into the car park (when you have passed under the railway bridge). Parking is free.